Since 2014, due to people for health and sports continue to pay attention, smart watches have become the most popular outside the ring of intelligent products. In this area, not only those who focus on the field of intelligent wear manufacturers, as well as continue to grow and develop mobile phone manufacturers, such as Apple, Samsung, and so on, of course, inevitably today's domestic mobile phone manufacturers protagonist & mdash; In 2015, Huawei released the first smart watch, and after two years of continuous precipitation, in March this year, Huawei released its second generation of smart watches and Huawei Watch2, as the second generation of Huawei watches, it What kind of change can it bring? 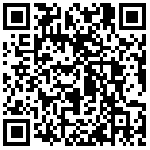 After a period of trial, the following for everyone to bring a more detailed evaluation. HUAWEI WATCH 2 in March of the MWC2017 debut at the same time in the March 24 officially released in the country, using the high-pass Xiao Long Wear 2100 processor, clocked at 1.1GHz with 768MB RAM and 4G ROM, and the price, HUAWEI WATCH 2 4G version of 1988 yuan, 1688 yuan Bluetooth version. With the previous generation design is different, HUAWEI WATCH 2 in the design level is more focused on the movement. First of all, in the design, the use of a standard circular dial, fully integrated into the design elements of the movement, while taking the 45mm traditional watch size and proportion. HUAWEI WATCH 2 with double crown design, the bezel printed on the movement of the table is often the number of scale, more sports atmosphere. In the dial of the process, the use of high-grade ceramic material, the official said that each ceramic bezel after 23 processes, time-consuming 288 hours. Leading the industry's 3D ceramic processing technology, to create a rounded jade texture, and difficult to scratch. 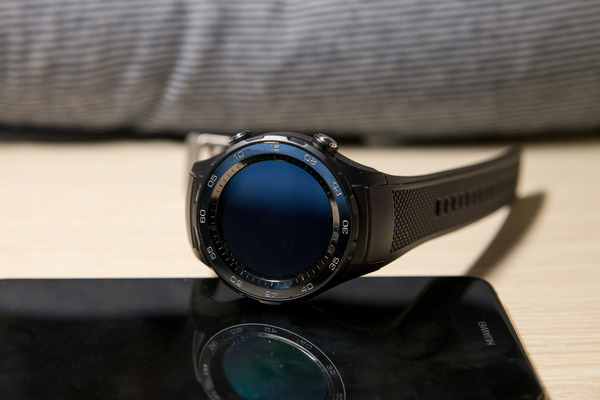 HUAWEI WATCH 2 dial screen for the 1.2-inch, resolution up to 390x390,326 ppi so that the pattern and text on the watch are clearly clear, and the screen material with more power AMOLED material. In order to ensure the safety of daily use of the watch, the screen material selection of the third generation of Corning gorilla glass, not only effectively reduce the thickness of the glass screen also increased wear resistance. In the overall design, HUAWEI WATCH 2 more emphasis on ergonomic design, strap connection with a natural curved design, the watch more fit the wrist curve, wear more comfortable. 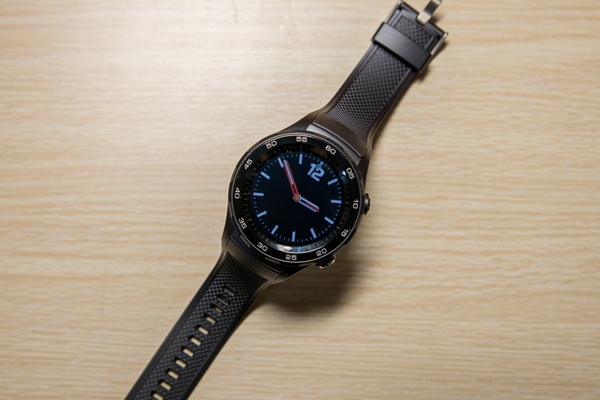 HUAWEI Watch 2 Bluetooth version 56g, 4G version 57g, are relatively light, in the hands will not have pressure. 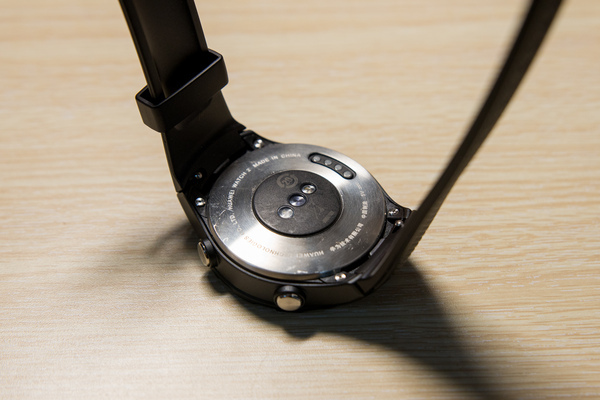 On the back of the HUAWEI WATCH 2 there are charge contacts, heart rate sensing area and the top of the microphone and the bottom of the speaker, the back of the sensor slightly protruding, you can also play in the strenuous exercise can accurately read heart rate data. At the same time, HUAWEI WATCH 2 also reached the IP68 dust and water level. Wraps on the strap, HUAWEI WATCH 2 uses a lot of sports watch design, the use of mixed plastic material, compared to the previous metal or leather is no doubt more fit sports theme. 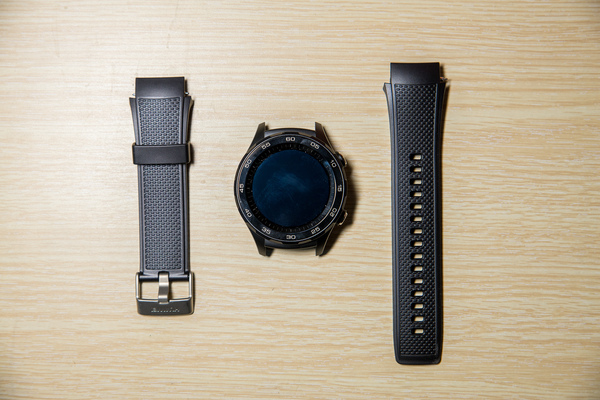 Strap width of 20mm, support the replacement strap, the user can choose Huawei or other third-party style strap. Original strap with a traditional strap buckle way, no tools in the demolition. 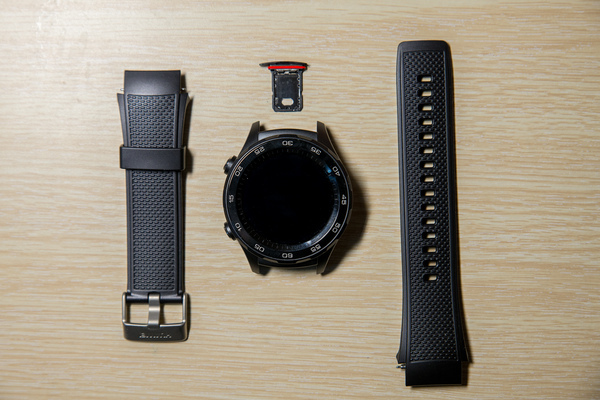 HUAWEI WATCH 2 4G version can remove the strap to see the SIM card slot, support mobile Unicom dual 4G. 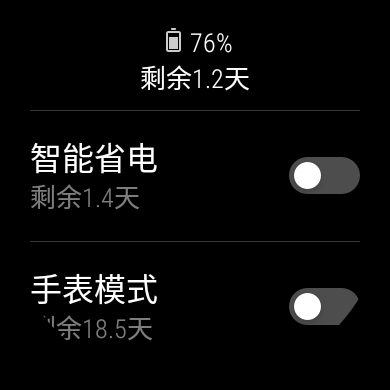 HUAWEI Watch 2 only two entities button, located on the right side of the dial, the top right of the screen for the menu button, but also the power button, the bottom right of the custom button (default is fitness), by short press the power button will be able to enter the application list, And short press the custom button is the default to enter the "exercise" and the application, the rest are through touch screen and voice to complete. 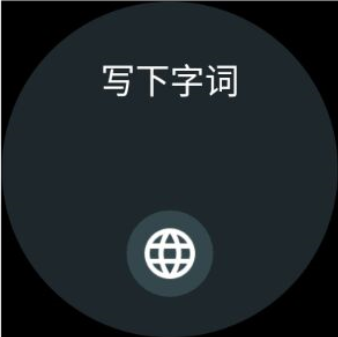 In the operation, HUAWEI WATCH 2 interface interaction is relatively simple, the bottom of the plan can call out the message label to see APP push the message, the top of the slide can pull out the control center, flight mode, quiet mode, off mode, , And settings can be operated in the control center. 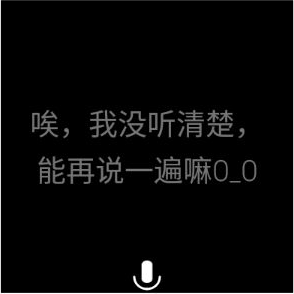 HUAWEI Watch 2 voice recognition is used to go out to ask the entire phone voice function integration, in the upper right corner of the phone button long press to call out the voice assistant. It is possible to carry out daily communication and content service. 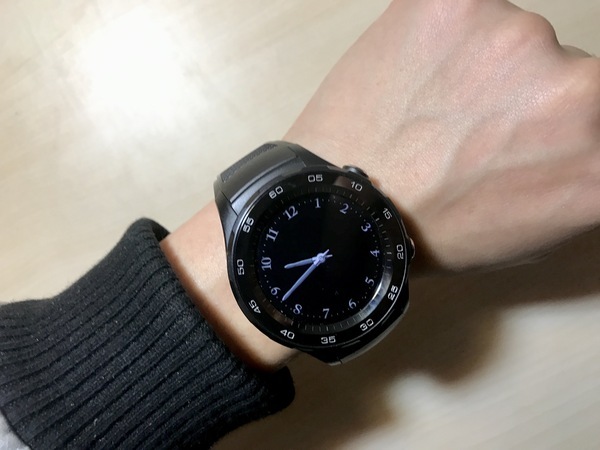 At the same time, HUAWEI Watch 2 can also set some wrist action, when you are not easy to operate the watch to carry out, up and down the wrist can be the message before and after the flip and so on. HUAWEI Watch 2 has a variety of styles in the theme of the dial: sports, classic, business, technology can be easily replaced. 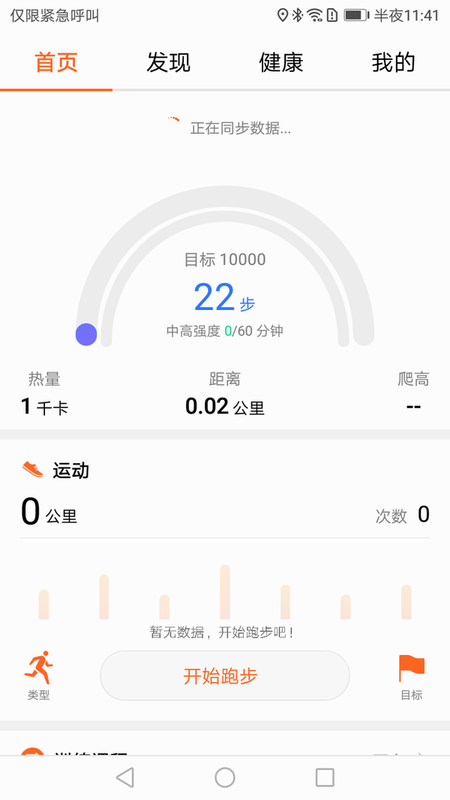 At the same time if the built-in theme is not satisfied, you can also download through the App, it is worth mentioning that the user can also customize the presentation of the contents of the dial, such as heart rate, exercise, world time. Specific operation, the user's main interface in the watch to the left and right slide the screen, you can quickly switch the dial. 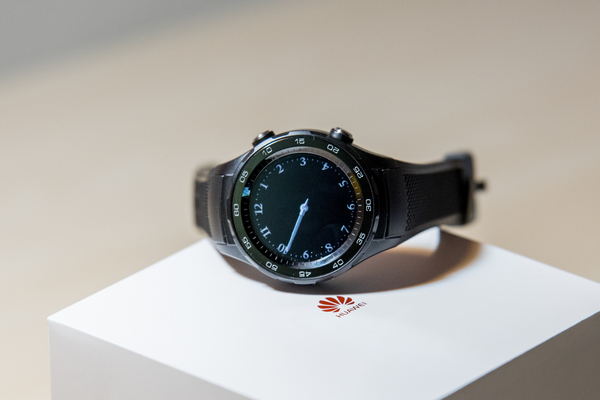 As a smart watch to meet the user's multi-sport scenes, the HUAWEI WATCH 2 incorporates a number of professional high-precision sensors to meet the data during the user's movement. 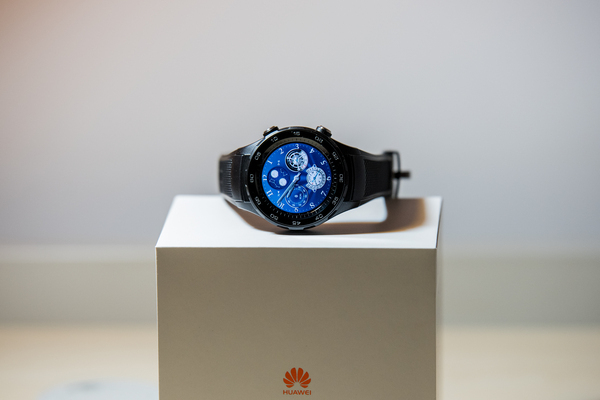 , From the parameters of view, HUAWEI WATCH 2 equipped with a heart rate sensor, air pressure sensor, ambient light sensor, CAP capacitive sensor, 3-axis gyroscope, 3-axis gravity acceleration sensor and 3-axis compass, geomagnetic sensor and many other sensors, Designed for sports to create smart watches. HUAWEI WATCH 2 will be based on different training methods for different data statistics, including the distance, speed, pace, heart rate, calories, pace, movement trajectory. Users can also make more detailed selections for their own running templates, which contain both fat and run and run two templates. 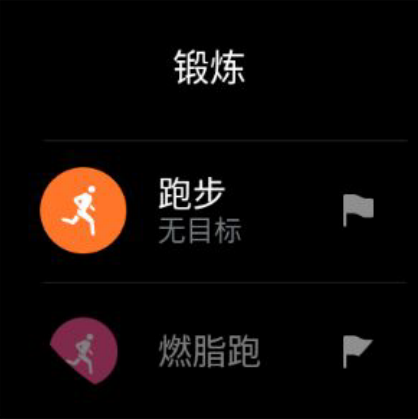 You can enter the exercise App, select the appropriate exercise (support running, walking, riding, treadmill, indoor cycling and other mainstream sports data records), you can enter the exercise App, Click on the screen or press the bottom right key again to turn on the exercise mode. The right-hand training interface is the history of exercise, where the user can view the detailed exercise before, including the training effect assessment, including the movement of the distance, time, speed, pace, pace, calories, heart rate, including details , There are heart rate curve and heart rate distribution area, and then slide down and even show the trajectory on the map. HUAWEI WATCH 2 has three matching APP, Android Wear, Huawei wear, sports health. 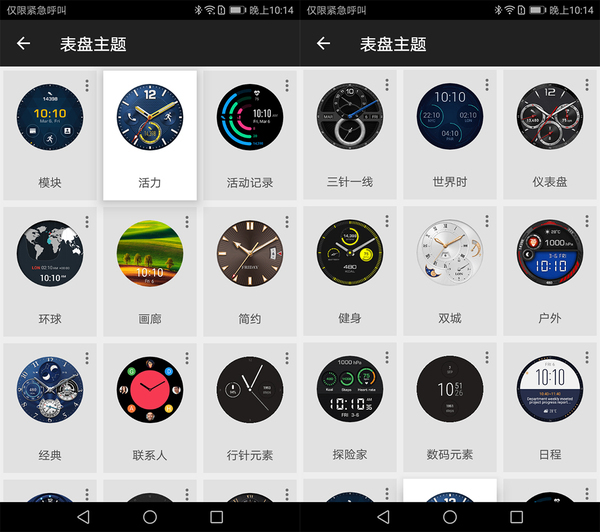 Android Wear mainly HUAWEI WATCH 2 connection with the phone and the replacement of the theme of the dial and so on. 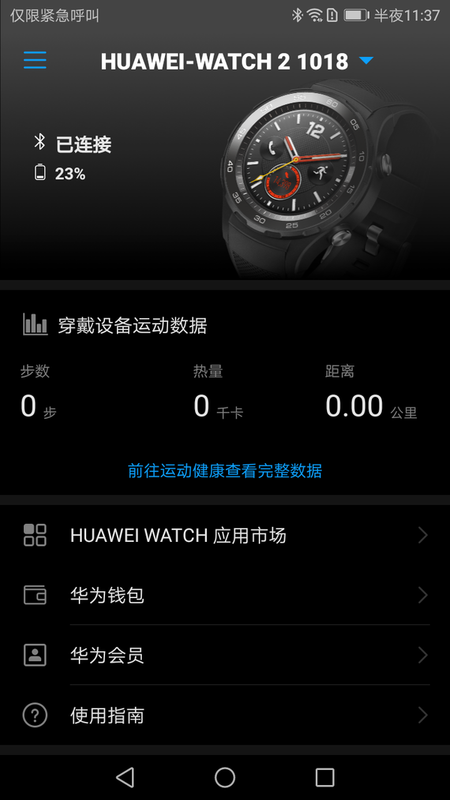 Huawei wear, you can display the connection status of the watch and the power situation and the main movement of several data, while HUAWEI Pay function of the Wallet is also set here. Sports Health APP, the user can view the details of the day in addition to the movement, there are a lot of video training courses, such as "body activation diet" ralph lauren pas cher, "vest line practice" ralph lauren pas cher, In addition, the user can also be developed through the APP "training program" and let the fitness to start and finish. 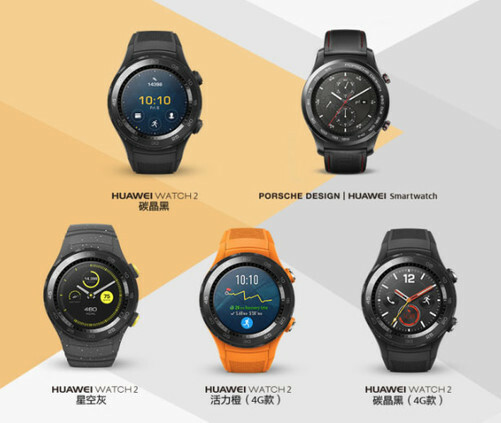 In other applications, HUAWEI Watch 2 national version of the use of Android Wear 2.0 China version, so the watch application market is currently provided by the third party App is not a lot of mainstream only WeChat, Alipay and the United States and so on. Past sports, often afraid to miss the news had to bring the phone. 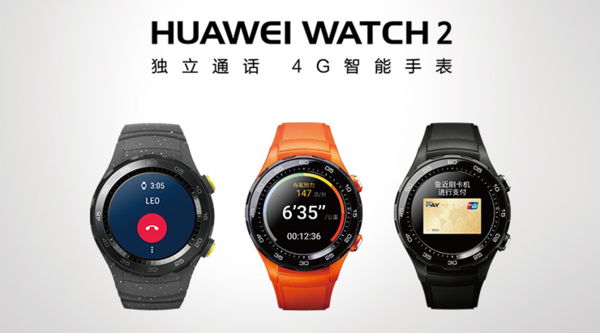 And HUAWEI WATCH 2 in the communication to show their independence, HUAWEI WATCH 2 4G version equipped with a high-pass Xiao Long 4-core processor, do not have to bring the phone can call, answer the phone, view the message, plus HUAWEI WATCH 2 comes with Microphone and speakers, when out of sports, no longer have to worry about because there is no cell phone and missed a lot of important information. 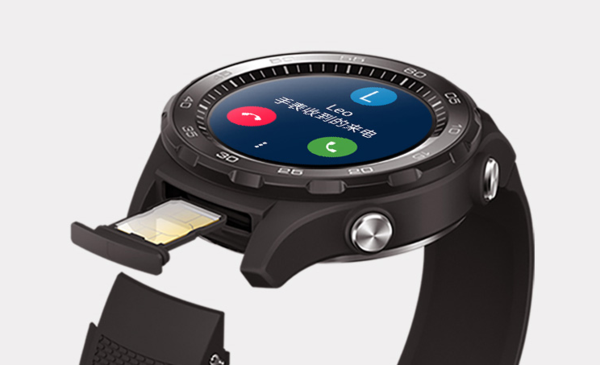 HUAWEI Watch 2 support SMS send, send text messages can be directly on the watch directly input, and the text input with handwriting and keyboard input, handwriting recognition rate is also very good, but because the watch screen is relatively small, the use of language input will be more convenient. 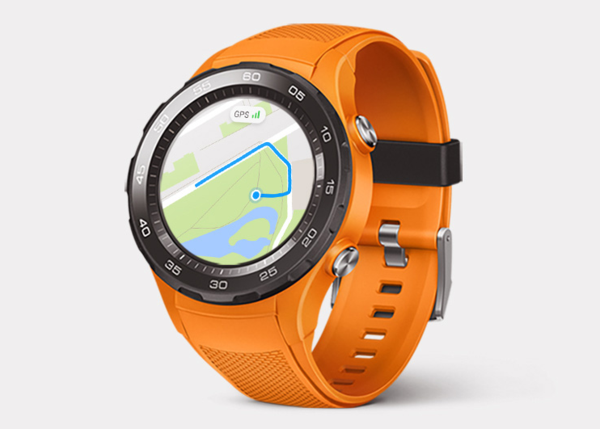 HUAWEI WATCH 2 4G signal + GPS dual positioning mode, can help users to quickly locate. 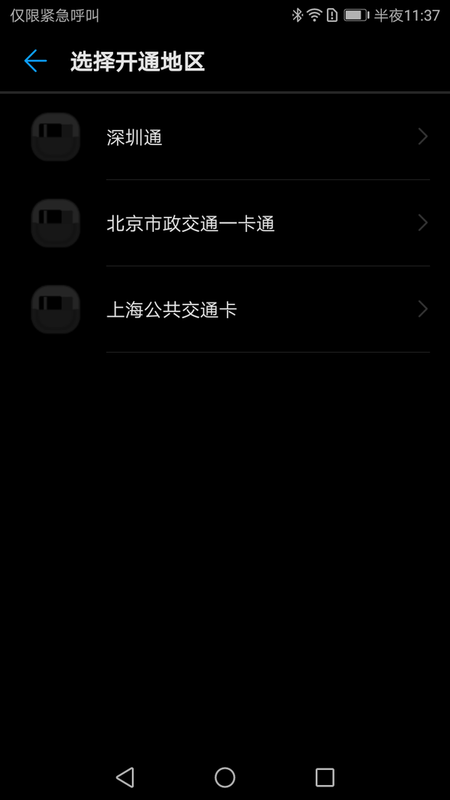 In the navigation function to select the Sogou map as a data service, search when the user needs to search the bus station and other places, quickly through the network, for users to navigate. 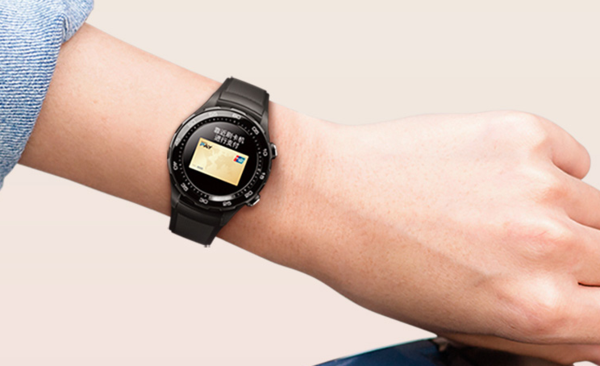 HUAWEI WATCH 2 Another important feature is to support Huawei Pay mobile payment. Double click on the bottom of the watch under the custom button button, you can call Huawei Pay payment, all support Phnom Penh flash memory of the Pos machine can use the watch to pay, and this service can not be based on mobile phones, only with a watch can be completed independently operating. 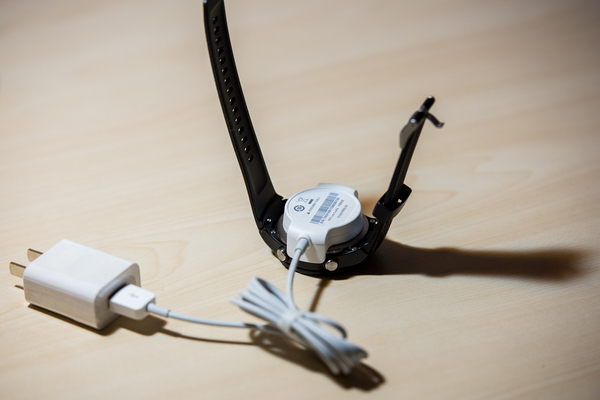 At the same time, Alipay offline payment and WeChat payment can be achieved in the watch. 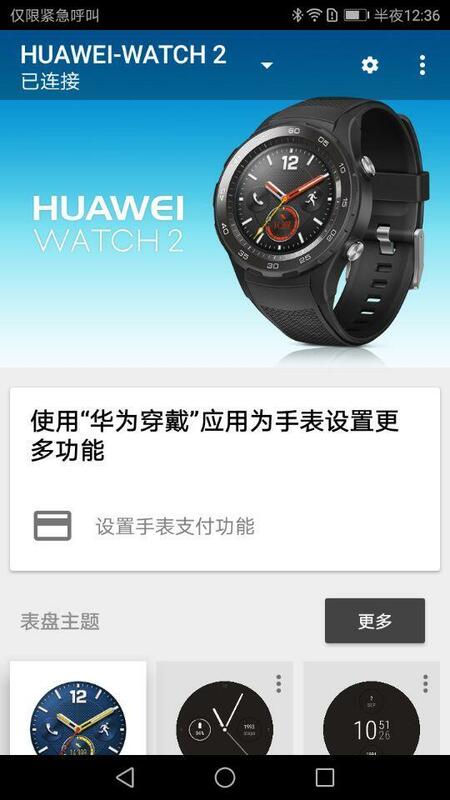 At the same time, HUAWEI WATCH 2 can be used as a bus card, take the subway bus only need to use the watch close to the card reader can swipe, but currently only supports Beijing and Shenzhen, Shanghai, the official follow-up will upgrade Lingnan Nantong and other bus system. 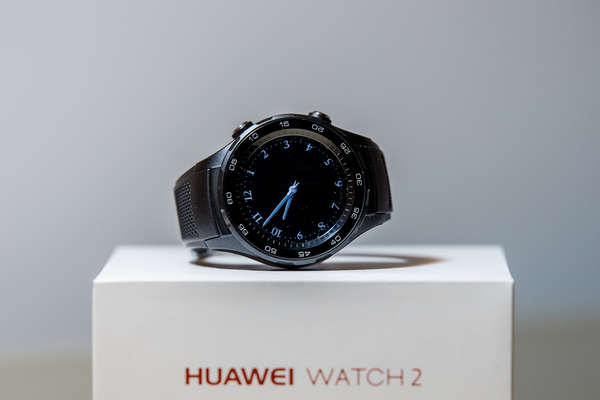 HUAWEI WATCH 2 built a 420mAh battery, than the previous generation has improved, but not particularly large leap, in the case of bright screen, the daily use of fully able to maintain 30 hours of life, close the bright mode, Two days a night of life. If the Bluetooth, wifi, 4G, NFC, GPS, heart rate full open case, the screen is also set to bright, probably can adhere to 12--16 hours. 8 o'clock in the morning to go out, can be used around 12 o'clock. 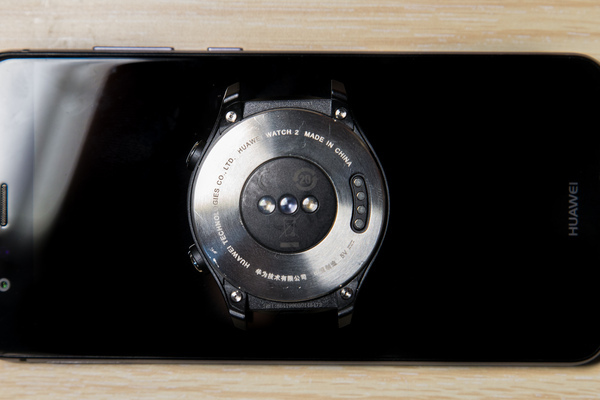 However, in order to extend the battery life, Huawei provides a new "watch mode" as much as possible to maximize the use of the remaining power. The official note is that in the case of only 10% of the electricity, the watch saving mode allows your battery to continue for 40 hours. 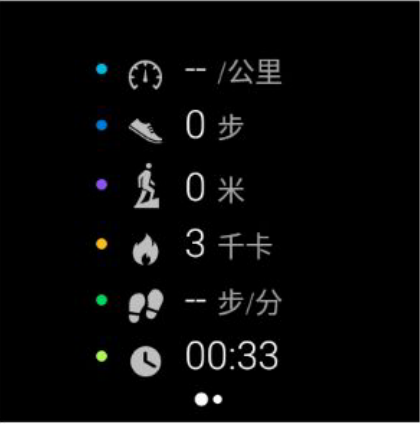 It should be noted that this basic watch mode, can only display the time and record the number of steps, the watch screen is not always lit up. 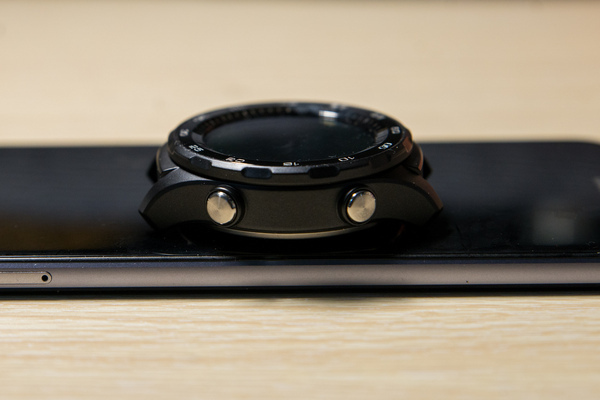 In terms of charging, HUAWEI WATCH 2 and the previous generation for the four-point magnetic pusher-type charging design, charging base has a special fixed design, will not appear bad and can not charge the situation. In the test, it takes about 2 hours to fill from 0 to 100%. 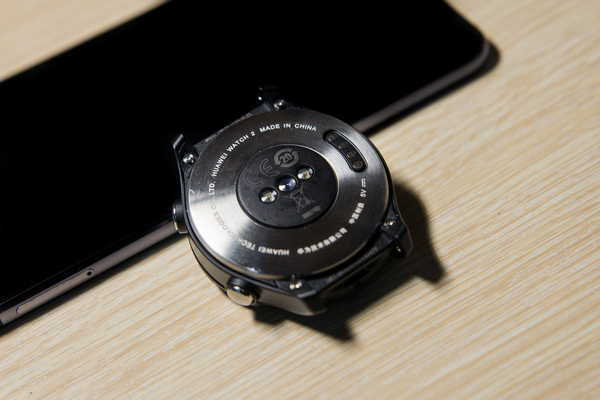 In general, HUAWEI WATCH 2 from the design, voice calls, body waterproof, their own life are upgraded to varying degrees, while adding a lot of new features, such as support for independent calls, send and receive messages, independent Internet access, offline payment And so on, can be described as the convergence of all users need all the watch function. HUAWEI WATCH 2 should be the only choice for users who love sports and do not want to bring their mobile phones. 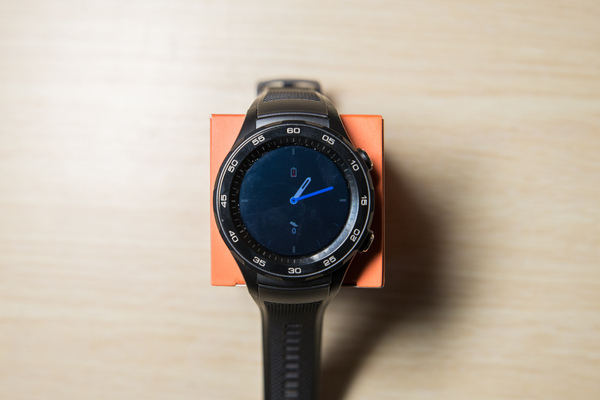 If the price is less than 2,000 yuan within your budget, then the HUAWEI WATCH 2 is a worthwhile product.